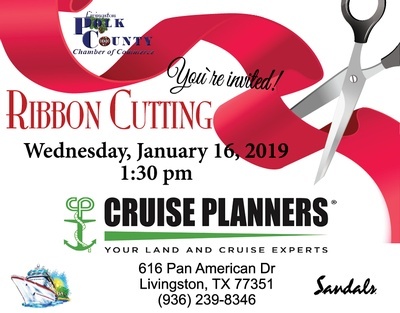 The Chamber will be celebrating the joining of our new member, Cruise Planners, with a ribbon cutting. Located in the Wellness Company at 616 Pan American Dr, Livingston, TX 77351. Following the ribbon cutting you are invited to talk with the representative from Sandals and plan your next vacation.